In the early months of the year, Biltmore offers a peaceful retreat following the hectic pace of the holidays. Winter specials include lowest admission of the year, beginning at $39 purchased seven days or more in advance online or over the phone. 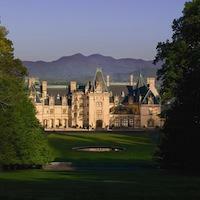 Tickets include a free audio guide of Biltmore House and kids 9 and younger also get in free with an adult admission. Enjoy a complimentary 45-minute guided tour about our beautiful orchid collection this winter. This tour is offered at 11:00 a.m. on weekdays and capacity is limited to 15 guests daily. Reservations can be made during the day of your visit at any Guest Services location. Tour meets inside the center front doors of the Conservatory. We welcome an exciting new exhibition exploring fashions of the early 1900s featured in the hit PBS series Downton Abbey. Dressing Downton: Changing Fashion for Changing Times includes more than 40 costumes from the series showcased in rooms throughout Biltmore House. The groupings are inspired by the fictional show and by real life at Biltmore, with stories from the estate during the time period woven throughout the exhibition. Biltmore's gardens are alive with color as spring arrives. Stunning floral displays – featuring nearly 100,000 tulips – across the estate celebrate the majesty of Frederick Law Olmsted’s legacy as Biltmore’s master horticulture planner. Biltmore’s restaurants will feature special menu items, with the Winery offering wine seminars. The Easter Rabbit makes his annual appearance on Biltmore’s Front Lawn on Easter Sunday. Highlighting the day are the grand Easter Egg Hunts at 11 a.m., 1 and 3 p.m. Children ages 2 to 9 may attend the hunt for free when accompanied by an estate pass holder or a ticketed adult. Biltmore House and the Blue Ridge Mountains serve as backdrop for amazing musical experiences during Biltmore’s annual concert series. Concerts take place on the South Terrace of Biltmore House. The concert line-up will be announced in spring 2015. Holidays arrive at America’s largest home in style. More than a century ago, George Vanderbilt chose this magical season as the time to unveil his new home to family and friends. This year’s Christmas at Biltmore promises another extravagant celebration, complete with dozens of Christmas trees, miles of ribbon, garland and lights. Candlelight and firelight accent Biltmore House’s extravagant holiday décor during these nighttime tours. The house glows, appearing much as it would have at the turn of the 19th century. Candlelight Christmas Evenings include a self-guided candlelight tour of Biltmore House, next-day visit to the gardens, Antler Hill Village and Biltmore Winery. “The Vanderbilts at Home and Abroad” focuses on the lives and personalities of George, Edith and Cornelia Vanderbilt. This close-up look at exotic and rare items the family collected throughout their lives features an extraordinary collection of Samurai armor, and a display detailing the fateful decision that saved the Vanderbilts from perishing on Titanic.